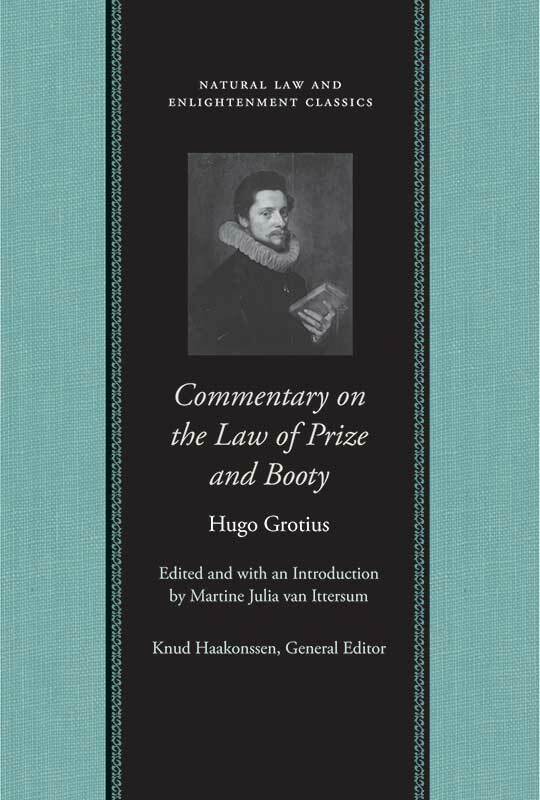 This Liberty Fund edition of Commentary on the Law of Prize and Booty is based on the one prepared by Gwladys L. Williams and Walter H. Zeydel for the Carnegie Endowment for International Peace. It combines the original text and new material. Hugo Grotius (1583–1645) was a lawyer and legal theorist, diplomat and political philosopher, ecumenical activist and theologian. Martine Julia van Ittersum is a Lecturer in History at the University of Dundee. Introduction, note on the text, maps, translator's annotations and appendix A from Carnegie edition, new annotations and appendixes, bibliography, suggestions for further reading, expanded and revised subject and author indexes from the Carnegie edition.